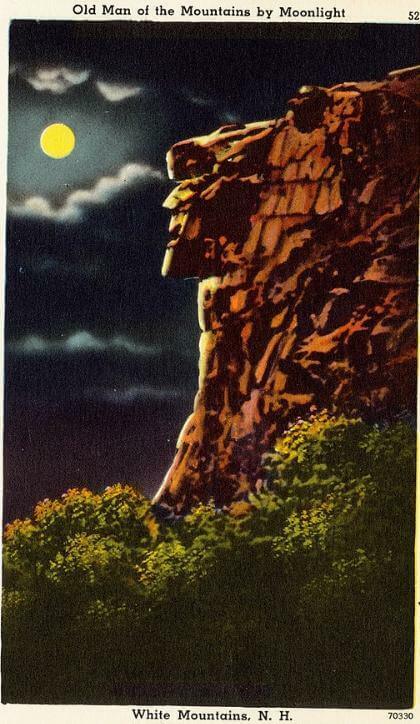 The Great Stone Face (1850) is a wonderful legend about the Man of the Mountain in the White Mountains of New Hampshire. It's still there waiting for a person to be born who embodies its spirit. You might also like New Hampshire by Robert Frost. Add The Great Stone Face to your own personal library.